Panasonic is going to unveil the first 8K camera with an organic sensor. This is really fantastic news from Panasonic. The AK-SHB 810 is planned to launch the next Autumn. According to news.panasonic.com they realized global shutter function. The technology that simultaneously achieves these performances is the industry’s first. The camera’s sensor, as mentioned on their official website is the first-ever 8K organic sensor, which replaces the photodiode of a traditional sensor with two different components. The new technology will have a “wide dynamic range” compared to regular CMOS cameras, and packs a global shutter that records the whole image at once, removing so-called “jello” or rolling shutter. Panasonic claims that even in high contrast scenes, the camera can take photos at 8K resolution; for example, a field under strong sunlight and shaded spectator seats under a stadium roof. It is also expected that 8K camera can capture moving objects instantaneously without distortion with the help of the global shutter function that enables simultaneous image capture by all pixels. [performing multi-view synchronized imaging using plural cameras, and used in fields requiring high-speed and high-resolution, such as machine vision and ITS monitoring]. 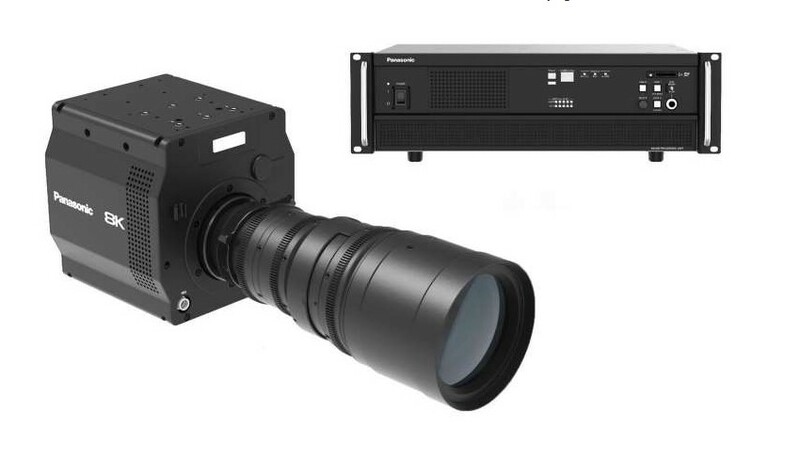 8K resolution, 60fps framerate, 450k saturation electrons and global shutter function are realized simultaneously. The ND filter function can be realized steplessly by controlling the voltage applied to the OPF.